Naming rooms after notable guests is a long-standing tradition among many Historic Hotels of the Rockies members, and a fun way to share the past with today’s visitors. In fact, one member hotel, in an effort to remember the characters and events that shaped a town’s history, is asking the public for help in naming its nearly 100 rooms. When you sleep and eat in a place with a storied past, you experience history much more intimately than if you were reading a text book, and it’s a lot more fun. If the walls could talk, the stories they’d tell. That’s true of every Historic Hotels of the Rockies member where the history of the West has played out in the saloons, dining halls, and guest rooms of the region’s original lodging establishments. Historic Hotels of the Rockies members keep history alive through stories, artifacts and even room names. One member, the landmark Strater Hotel in Durango, Colorado is in the process of naming each of its 93 guest rooms after the town’s history-making figures, a roster it hopes will include a mix of personalities from the famous to the obscure. The 124-year-old Strater Hotel knows what it will name at least one of its rooms. Room 222 will be named for Louis L’Amour, where the author spent several summers in the 60s and 70s writing his iconic Western novels. Other room names will take a little more archival archeology, and hopefully, with community input, will unearth some heretofore forgotten historical gems. Along with the naming, each room will have a binder filled with information about the room’s namesake. 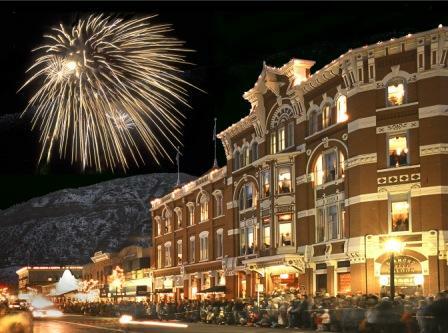 Connecting visitors with the past through historic lodging is one of the ways the Strater Hotel, and all members of Historic Hotels of the Rockies, bring history to life. “History doesn’t just live on the pages of a book,” said Jim Osterfoss, President of Historic Hotels of the Rockies. “When you sleep and eat in a place with a storied past, you experience history much more intimately than if you were reading a text book, and it’s a lot more fun.” Osterfoss is the owner of the Nagle Warren Mansion in Cheyenne, Wyoming, built in 1888. Most of the B&Bs’ 12 rooms are named for the mansion’s previous owners, a veritable who’s who of Wyoming society over the last century. 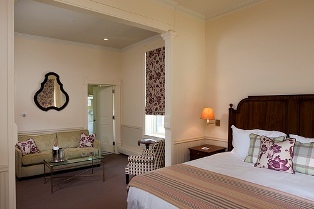 For an elegant room with a masculine feel, guests can stay in the Erasmus Nagle Room, named for the entrepreneur and the home’s builder. Or, choose to experience the height of Victorian opulence in the Francis E. Warren Room, named for Wyoming’s first U.S. senator. Only one room is not named for an owner – the Teddy Roosevelt Room – a room fit for a president, then and now. Before he became the 26th president of the United States, Roosevelt was a rancher in the West and an avid sportsman. 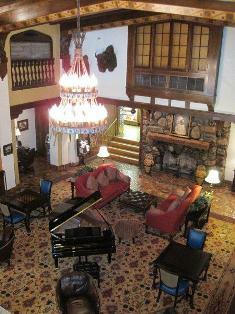 When he hunted in Wyoming’s Big Horn Mountains, he stayed at the Occidental Hotel in Buffalo, Wyoming. During Roosevelt’s time, just as it is today, the hotel was known for its excellent accommodations, which include the room named in his honor. 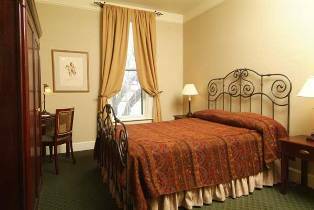 The Historic Occidental, like the Strater Hotel, has had many visitors cross its threshold, and several rooms are named for those notable figures, including the author Owen Wister, President Herbert Hoover, and General Phillip Sheridan. Another familiar face in the Old West was William “Buffalo Bill” Cody. In 1902, the famous bison hunter, soldier and entrepreneur built a hotel in Cody, Wyoming, and named it the Irma Hotel after his youngest daughter. Cody maintained two rooms and an office at the hotel, which he often referred to as “just the sweetest hotel that ever was.” In his time, “Buffalo Bill” was one of the most well-known people in the world; Queen Victoria of England even honored the Wild West showman with the gift of an ornate cherry wood bar, which he promptly installed at the Irma. It continues to be one of the most-photographed features in Cody. For the Hotel Alex Johnson in Rapid City, South Dakota, finding inspiration for naming its three meeting rooms was as simple as looking to the nearby Black Hills and Mount Rushmore National Park: Lincoln, Washington and Jefferson. In Fort Benton, Montana, it seemed only natural the state’s oldest hotel, the Grand Union, name its meeting space the Lewis and Clark Room, after the two explorers who passed through on the Upper Missouri River. “Part of visiting a place is learning about its history; Historic Hotels of the Rockies members are experts at weaving historical details throughout our properties,” said Osterfoss. Heritage tourism organizations like Historic Hotels of the Rockies help highlight the details of the past that might otherwise have been lost. The Castle Marne in Denver, Colorado, for instance, is known for its romantic Victorian ambiance, and continues to charm visitors with the details left behind by the mansion’s architect, William Lang, who also designed the famous “Unsinkable” Molly Brown’s house. 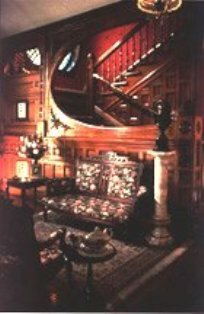 An elaborate circular stained glass window and original ornate fireplaces are part of the eclectic architect’s legacy. The Lang Room at the Castle Marne is named in his honor. Sometimes rooms were named for their function. At the Peck House in Empire, Colorado, the Parsonage and Conservatory, are two such examples. Naming all 93 rooms at the Strater Hotel will take time, something Historic Hotels of the Rockies members honor and understand. The room names will represent not only the famous, like President Gerald Ford, Buzz Aldrin and Will Rogers, but also reflect local history and lore by incorporating the stories of Gustof Nordenskiold, Olga Little, Chief Ouray and many more. To find out more about the stories behind these names and to explore the history of the West through travel, please visit Historic Hotels of the Rockies online. Located throughout the western United States, Historic Hotels of the Rockies is an eclectic collection of heritage lodging establishments built between 1862 and 1939. Members are committed to the preservation of Western heritage and providing the finest in guest services and hospitality. All properties are eligible for listing on the National Register of Historic places. Each has been meticulously restored to its original grandeur, reminiscent of those glory days when the Wild West was being tamed. For detailed information on each hotel, go to http://www.historic-hotels.com. 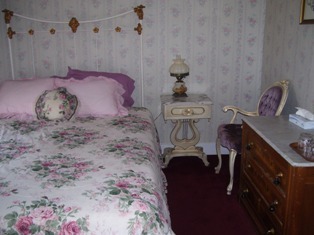 For a press kit and other press releases, visit http://www.historic-hotels.com/press_room/hotel_news_mainview2.